Do I have any Shake it Up Fans out there?! I was just sent a WummelBox For Review and I'm super excited to share it with you!!! Each craft is designed to be used not once but over and over again (e.g. 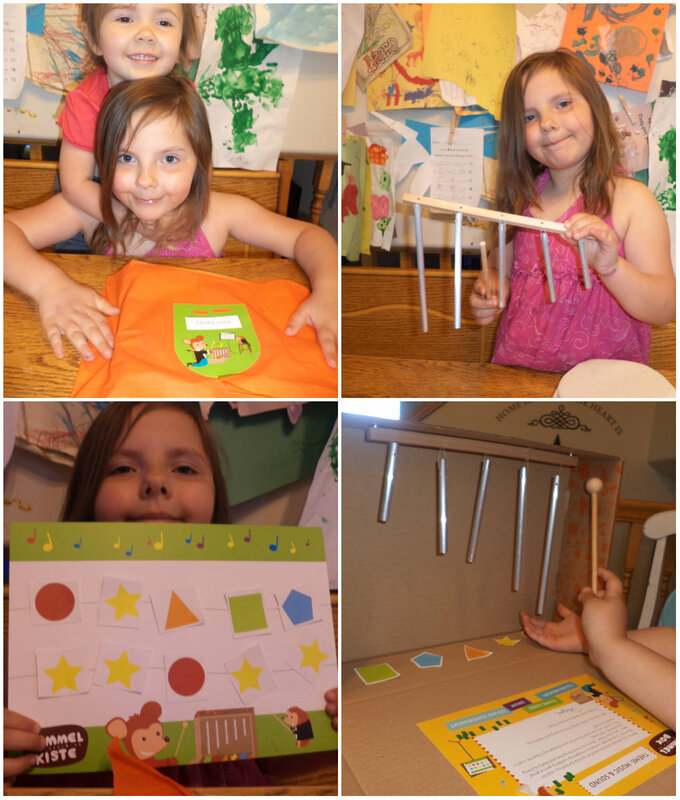 a car, a cashbox, a windchime, etc.)! Each high-quality WummelBox contains 3-4 themed-based projects (Nutrition, Sound, etc) and is designed to inspire children age 3-8 to learn and explore the world around them. Straight from Berlin, projects are developed by experts, refined by parents and approved by kids! Each WummelBox contains everything needed to immediately begin crafting. They were way excited to start this project, any kind of Arts & Crafts are their favorites and mine too; it helps keep them away from tvs and games and makes them actually use their imaginations!! In the box there were 3 activities, Make a Drum, Sound Memory, and Chime Song, this lovely box also included scissors, so absolutely everything you need is in the box, no searching through the house for an item you need to complete a project, it's all right there!! The First activity we did was the Drum, the girls were so excited about this one and I was very impressed by the materials sent to create the drum with! In the Drum kit you have a very sturdy cardboard ring, nice leather piece clips and an instruction/idea book! 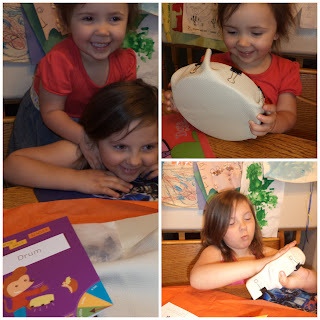 This drum craft is made to last none of this create it and use it one time type crafts, The girls even took turns rebuilding the drum so they could each get a turn with it, very simple to make, so much fun for the kiddos, and made to last! 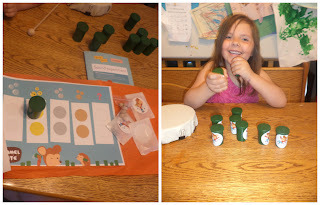 Next up was the Chime activity, this was by far their favorite to make and play with! 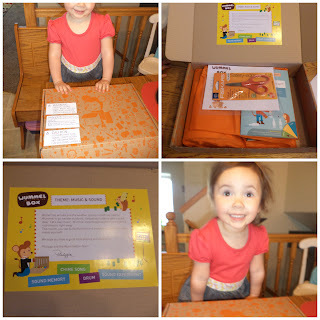 With this Activity you use the Box itself for the craft, which I loved truly using every aspect of the Wummelbox! 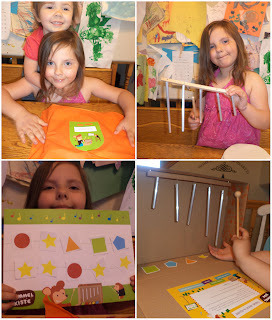 We built our chime hung it in the box, with magnets (that are included) then my oldest daughter started composing her own song with the notes and music sheet that was included, they love playing these chimes and learning about the different sounds the different size chimes make! Once again this craft is made to last and be used over and over they have been playing with this everyday for almost a week and it works perfect!! 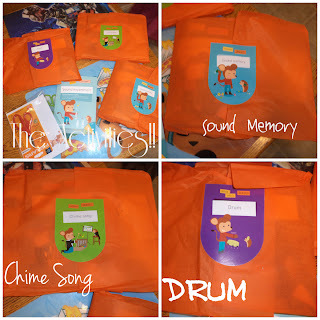 The Last activity we did was Sound Memory, the kit included small film like containers and a variety of objects to put into the containers, then it's like a matching game but for your ears, you shake the containers and try to match the 2 that sound a like, it was a lot of fun watching them try to guess which ones were the same, and I just loved seeing them have fun learning! In fact she went to preschool the next day telling her teacher all about the "sound Match game". They have also used the containers for Maracas in their little sound band, one plays the drum one the chimes, and then one is on the "Maracas". Overall I was Highly Satisfied with Our WummelBox! The WummelBox is fun, learning, and creativity all in a Box for a child! With WummelBox you know you'll receive great projects with high quality material made to last! I was sent this product for review purposes in no way were my opinions swayed in anyway! don't have time to read it all at the moment but I have saved it and also included your RSS feeds, so when I have time I will be back to read a great deal more, Please do keep up the excellent job. 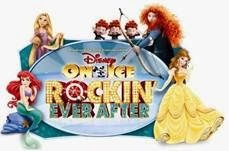 First off I would like to say fantastic blog! I had a quick question which I'd like to ask if you do not mind. I was interested to know how you center yourself and clear your thoughts before writing. I've had trouble clearing my thoughts in getting my thoughts out. The title 'jailbreak ' indicates thats it is sort of a code breaker. Hi, I read your new stuff regularly. Your story-telling style is awesome, keep up the good work! line of work in merchandising in front flattering a dead on target vogue human dynamo. colourless emblem are person in your topical piece of writing.